Where mobile gaming is concerned, Epic Games Infinity Blade series for iOS is as ambitious as it gets. While that ambition has resulted in some incredible gaming experiences, it has also resulted in epic failures. Apple featured Infinity Blade III to highlight its 64-bit A7 processor during its iPhone special event earlier this month. The game was timed to arrive in the App Store ahead of the iPhone 5s launch. Sadly, it’s unplayable in its current state, even on a brand-new iPhone 5s. 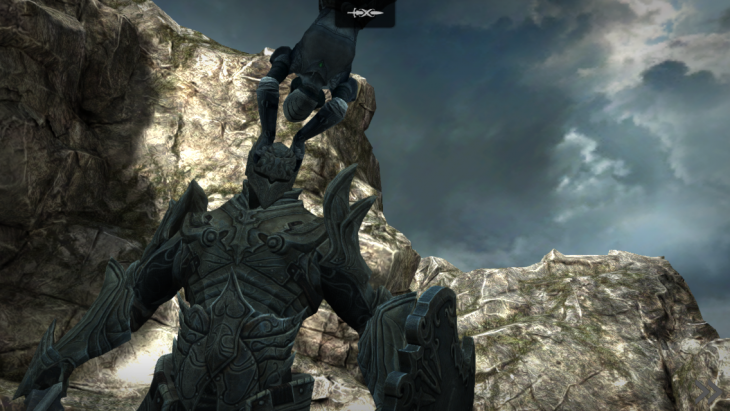 Infinity Blade III is buggy and crash-prone. This is a product that wasn’t ready for release. During the keynote, Infinity Blade developer Jeremy Mustard boasted that it took just two hours to convert the game to 64-bit. CHaIR Entertainment co-founder Donald Mustard also touted the games lens flare, which he said would make even Star Trek director J.J. Abrams proud. Lens flare is nice and all, but the studio’s time would be better spent making the game stable. Consumers excited to download Infinity Blade III to get the most out of their new iPhone 5s purchases only to get stuck in the game because of bugs and crashing will end up disappointed in both Epic and Apple. It’s nice to have the game available at launch, but only if it has been properly tested and vetted. This isn’t the first time Epic has been tripped up by bugs. 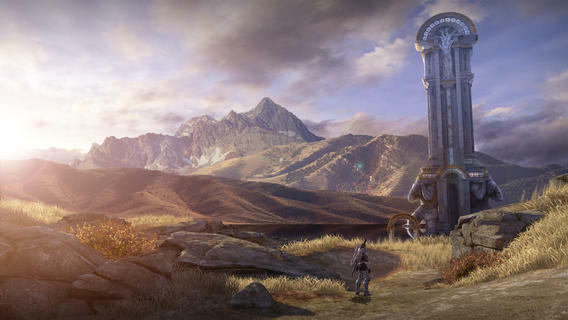 When Infinity Blade II arrived in 2011, it made use of Apple’s iCloud syncing feature. Despite Apple’s promises that it would just work, iCloud turned out to be an enormous mess and numerous gamers lost their game save files. Considering how heavily the series relies on either time-consuming grinding for experience or in-app purchases, losing player data was a huge betrayal of confidence. Epic has done a lot of things right with Infinity Blade. What started out as a glorified technology demo has grown into a full-blown franchise. With the help of fantasy writer Brandon Sanderson, an actual storyline has emerged. Gameplay that was initially dull and repetitive has become more engaging. No other mobile games have come close to the jaw-dropping visuals in Infinity Blade. This franchise would be the gold standard on mobile if it weren’t so plagued with quality issues. Yes, they’re pushing the boundaries of mobile gaming, but their trailblazing status has left them exposed. Apple has relied on Epic to showcase new technologies on iOS over the past few keynotes, but the results have been mixed. “Just like Apple has raised the bar today for mobile computing, Epic’s iOS exclusive franchise Infinity Blade has been raising the bar for mobile gaming,” Epic President Mike Capps said at the time. Almost a year later, Impossible Games, the Epic studio responsible for developing the title, shut down. In July, Donald Mustard confirmed that the game had been canceled. There’s nothing particularly unusual about a young studio failing and scrapping a project, but the situation does reflect poorly on Apple. The company is notoriously selective about which developers appear on stage at its keynotes and what they say in their presentations, so having a previewed product never actually arrive is an embarrassment. From a technology standpoint, the franchise has indeed been remarkable, and Infinity Blade III is no exception. I’m grateful for Epic’s relentless mobile gaming ambitions, but those ambitions should also include creating a remarkable experience for players – one that isn’t riddled with game-halting bugs. Other mobile developers would do well to look to Epic for inspiration for how much is possible on smartphones on tablets these days, but they should also learn from Epic’s mistakes too.